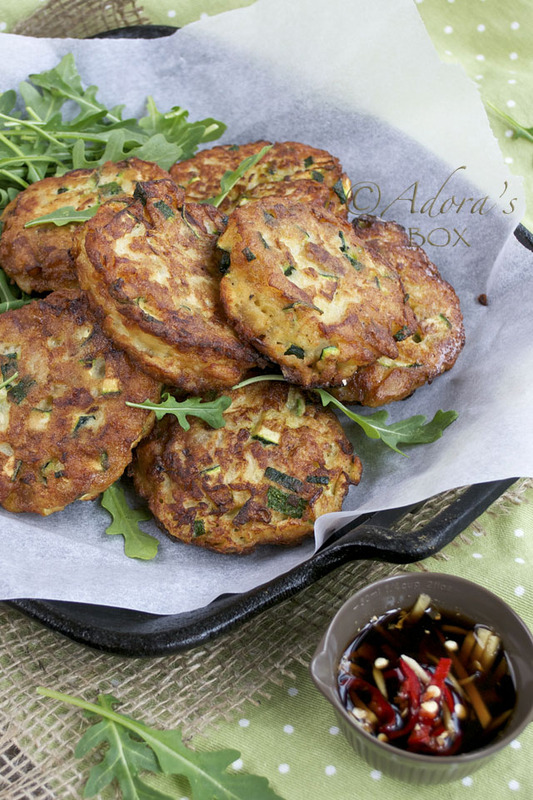 There are a lot of versions of courgette fritters. That just shows how well they are liked because they are just simply delicious. Vegetables need not be boring and may I say, if cooked like this, could be rather addictive. 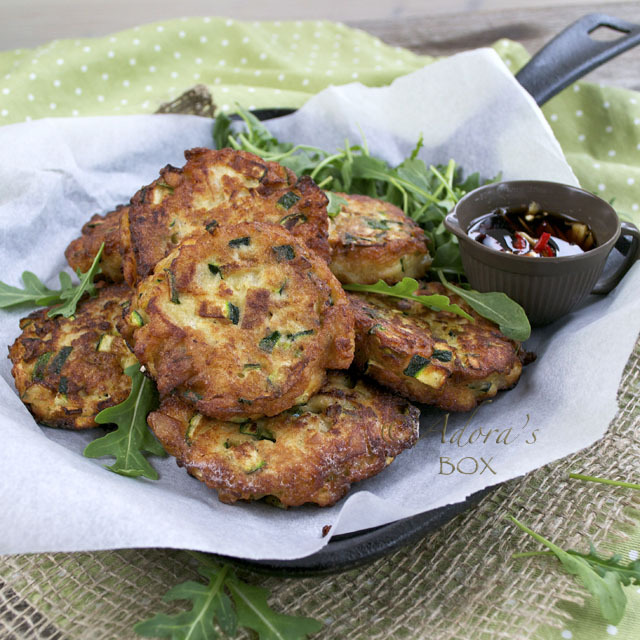 This is a quick and easy recipe for courgette fritters. 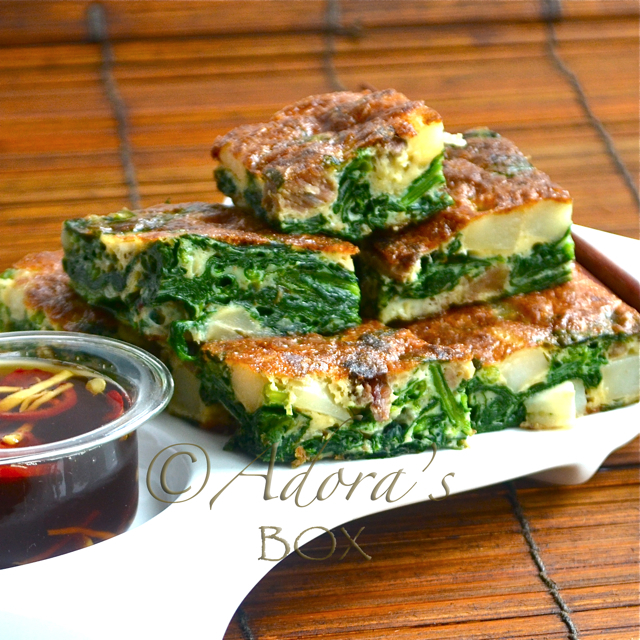 They can be served as starters or as a side dish. 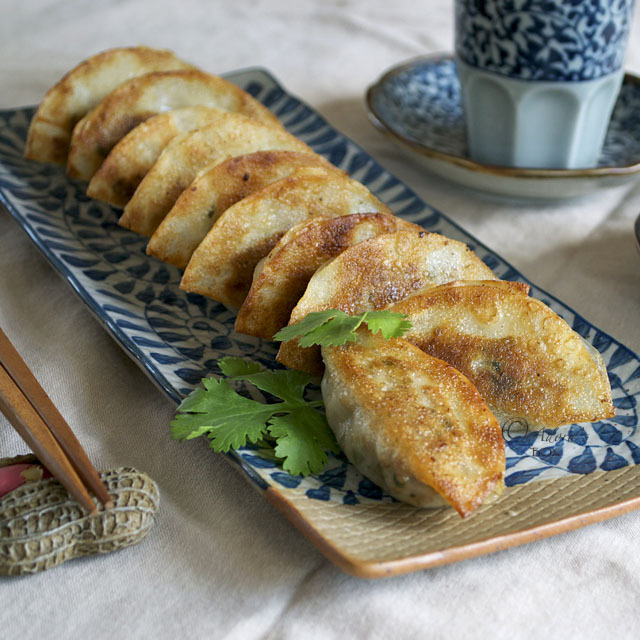 As an Asian twist, I serve them with a ginger and soy sauce dipping sauce. 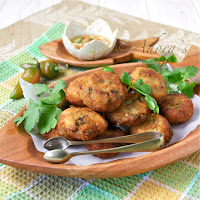 This recipe makes 10 fritters. Drop spoonfuls onto pre-heated oil. Shallow fry on low heat until golden brown. 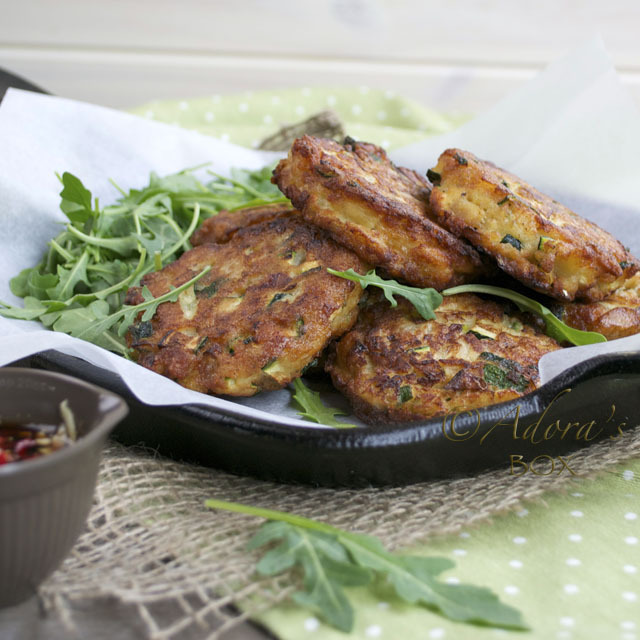 The raw courgettes should be cooked by the time the fritters are golden. Drain on kitchen paper to absorb the excess oil. Serve with ginger soy dip. 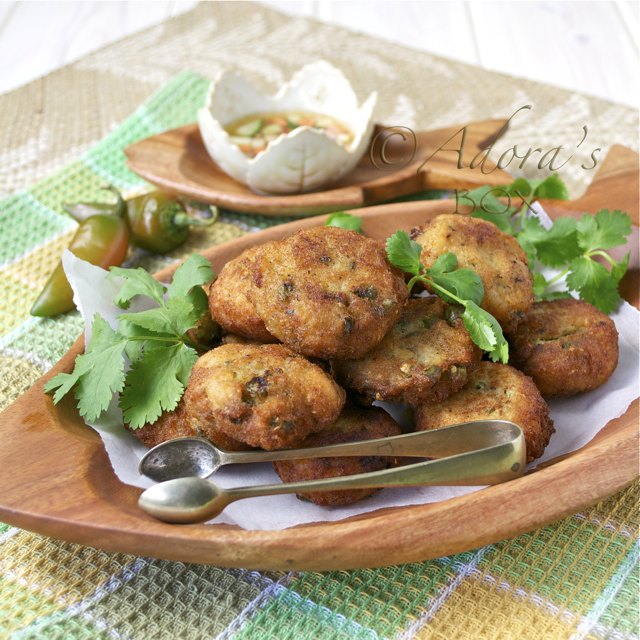 Mix together and serve as dip for the fritters. Sounds amazing. I think we will use up those zucchini's we have sitting around tonight! !